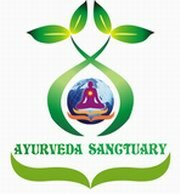 I was at the Ayurveda Sanctuary for a day in May 2012 with my family - wife and a son. We made reservations to get a feel for "true Ayurvedic living experience" within a short duration and it turned out to be an eye-opener. The experience was overwhelmingly of being one with nature even within civilization! To begin with, the staff extended a very warm welcome and made us feel utmost comfortable. The facilities are very well maintained and all amenities taken care of appropriately. The conversations and discussions with the doctors there left no doubt that this is a professional setup for any kind of stress relief, detoxification and rejuvenation. The home-cooked range of food adequately caters to the palate and certainly well thought out for the particular kind of treatment one may be undergoing. To top it, the place is naturally gorgeous with a vista like none other for those of us who are from an urban background. I would definitely go back and already planning the next visit, certainly a longer stay this time. Time and Money well spent; two-thumbs up!